Thank you for hopping along today with Latina Crafter! I am your 5th stop. Please visit Latina Crafter blog for prize information! 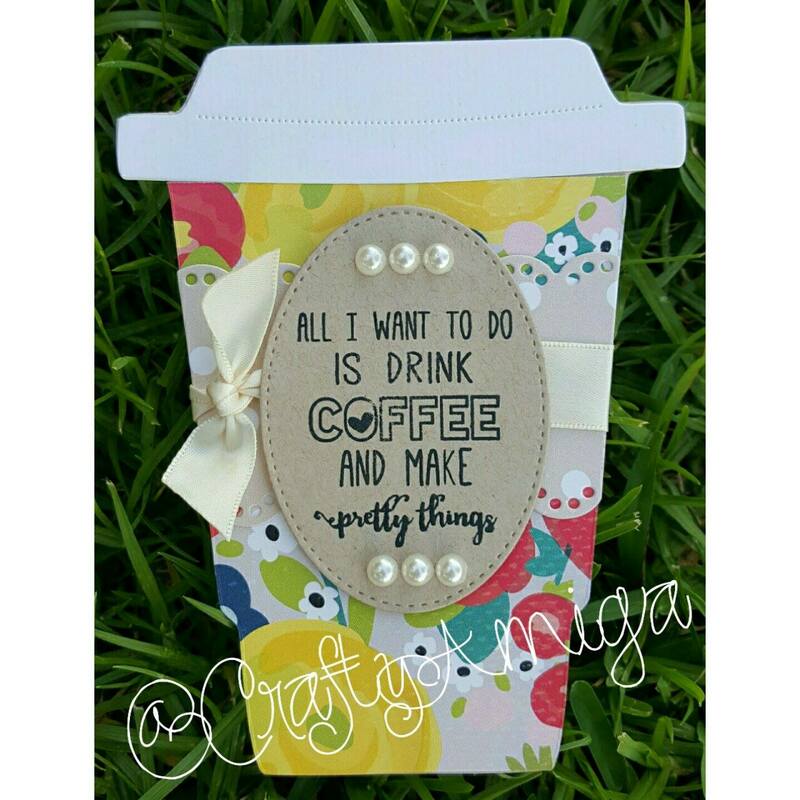 August stamp releases - "Coffee & Pretty Things". I actually had some input on this specific stamp. 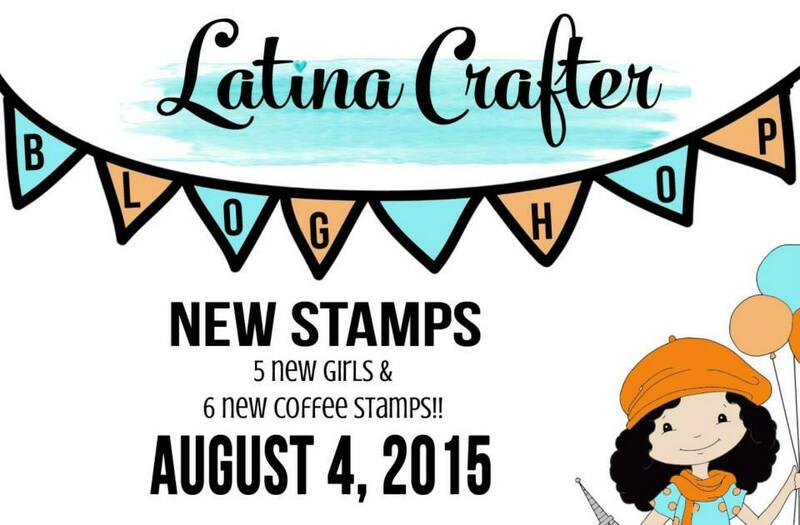 After Latina Crafter released the previous coffee themed stamps, I made a suggestion on this one! This is so true for me! I am sure many of you crafty coffee lovers can relate!! Along with the Latina Crafter stamp, I used Top Dog Dies Coffee Cup and finishers die set along with the stitched oval from MFT Stamps (Die-namics Pierced Oval STAX). 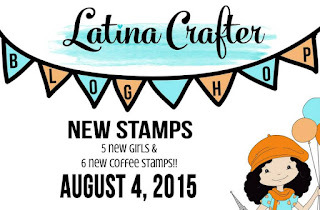 Please make sure to hop along, there are 5 NEW Girl stamps & 6 NEW Coffee stamps! Woo Hoo!